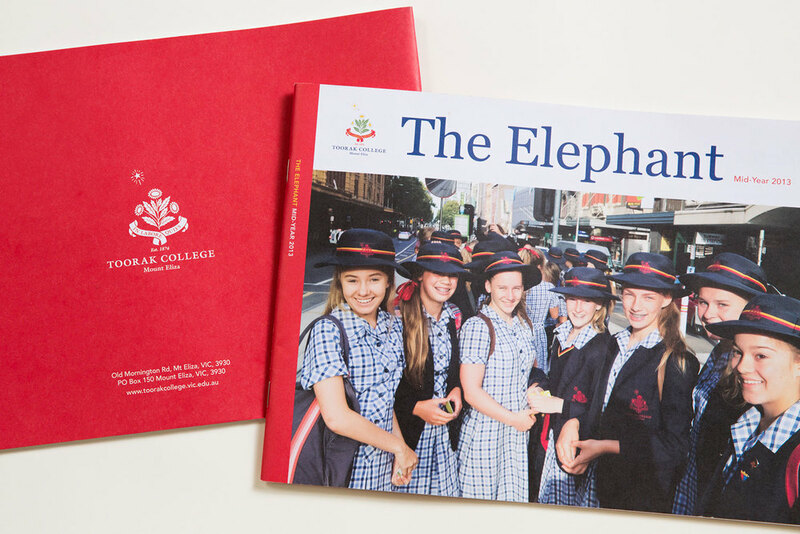 Toorak College is an independent school located on the stunning Mornington Peninsula, Victoria. 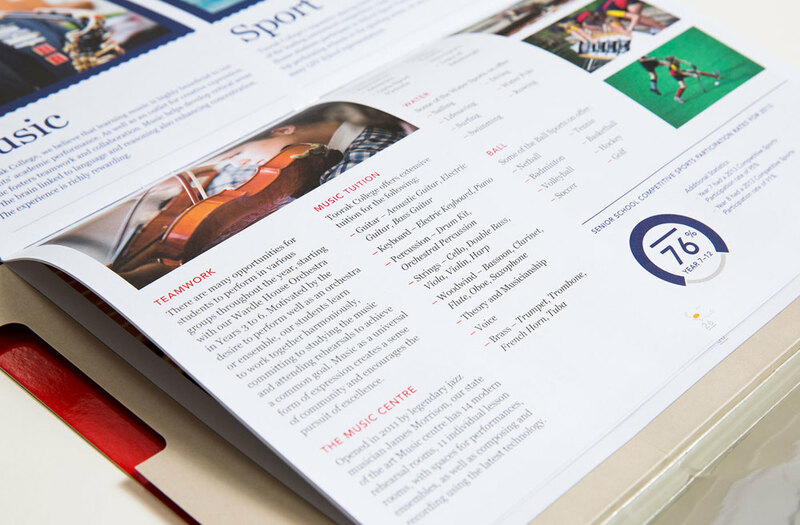 We were approached by the school to develop a refreshed brand identity to be rolled out across a number of publications including the prospectus package, biannual magazine The Elephant and annual yearbook The Elizabethan. 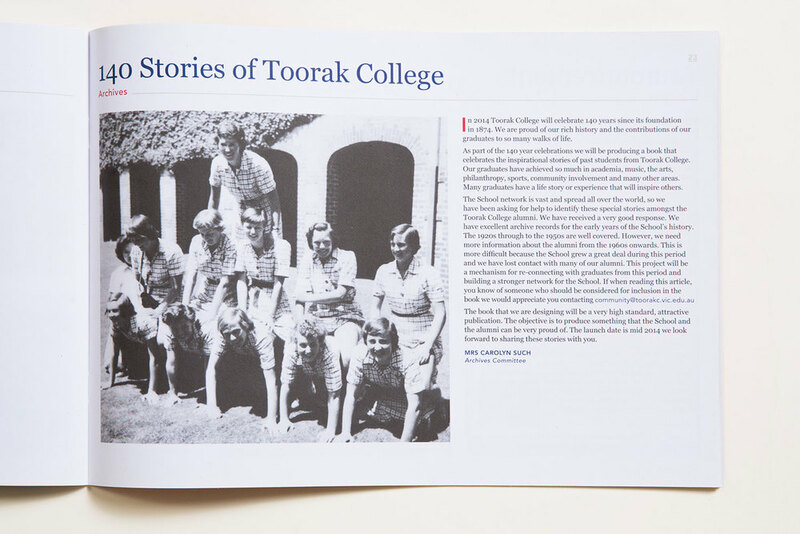 The update to the Toorak branding aims to reflect the school's passion for education and innovative learning whilst honouring tradition and heritage.